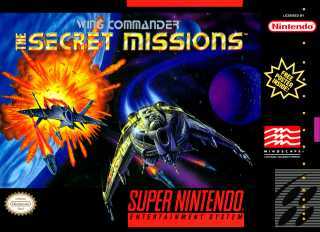 Wing Commander: The Secret Missions for Super Nintendo has you pilot the space carrier Tiger's Claw, and you're currently knee-deep in a deadly battle with the Kilrathi Empire. You've got to destroy this weapon and restore peace to the intergalactic world. As you progress through the game, it automatically adjusts to fit your abilities from Easy to Professional mode so pilots of all skill levels can enjoy the game. There are 16 missions in all, as well as top-notch graphics, amazing 3D animation, and beautifully rendered ships that will leave you in awe.